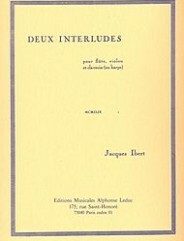 2 Interludes. (Flute Violon Clavecin (Ou Harpe)). By Jacques-Francois Ibert (1890-1962). For flute, violin, harpsichord or harp. 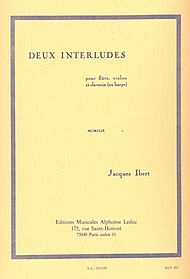 Published by Alphonse Leduc (AL20630).